. : COMPETENCIES, CE MARKING, NOTIFIED BODY, ACCREDITATION, AUTHORIZATION, MANDATE : TECHNICKÝ SKÚŠOBNÝ ÚSTAV Piešťany, š.p. - certifikácia, skúšanie, metrológia, inšpekcie :. 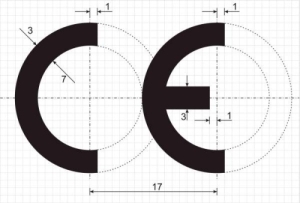 The CE marking shall be affixed only by the manufacturer (irrespective of whether said manufacturer is established in or outside the European Community) or by his authorised representative (established within the European Community). CE marking shall be affixed only to the products to which its affixing is provided for by specific Community harmonisation legislation (the New Approach Directives), and shall not be affixed to any other product. By affixing or having affixed the CE marking, the manufacturer indicates that he takes responsibility for the conformity of the product with all applicable requirements set out in the relevant Community harmonisation legislation (in the New Approach Directives) providing for its affixing. CE marking must be affixed visibly, legibly and indelibly to the product or to its data plate. However, where this is not possible or not warranted on account of the nature of the product, it must be affixed to the packaging, if any, and to the accompanying documents, where the directive concerned provides for such documents. Where a Notified Body is involved in the production control phase according to the applicable directives, its identification number must follow the CE marking. 2. If the CE marking is reduced or enlarged, the proportions given in the graduated drawing shall be respected. 3. Where specific legislation does not impose specific dimensions, the CE marking shall be at least 5 mm high.